The ActiveAid MAX-AID Bathroom Assist Chair from IndeMedical.com is one of ActiveAids most versatile bath chairs. 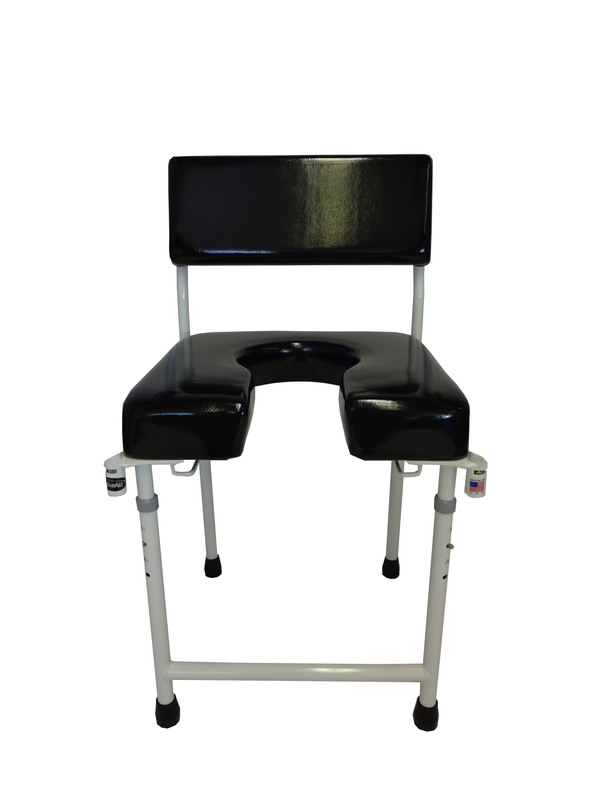 Use as an adjustable height toilet seat, a toilet safety frame, a shower bench, bathtub bench or a transfer bench. 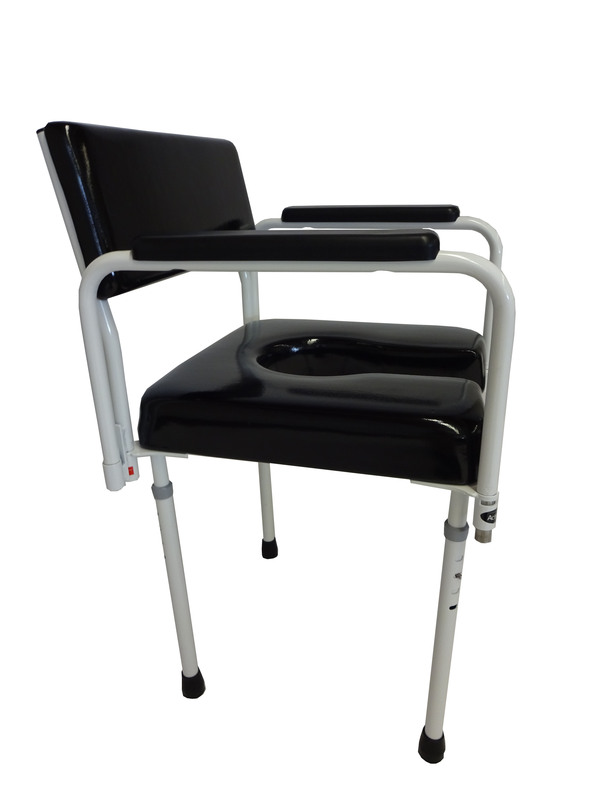 The MAX-AID bath chair's densely padded waterfall seat features a cut-out that can be positioned to the front, back, or either side. 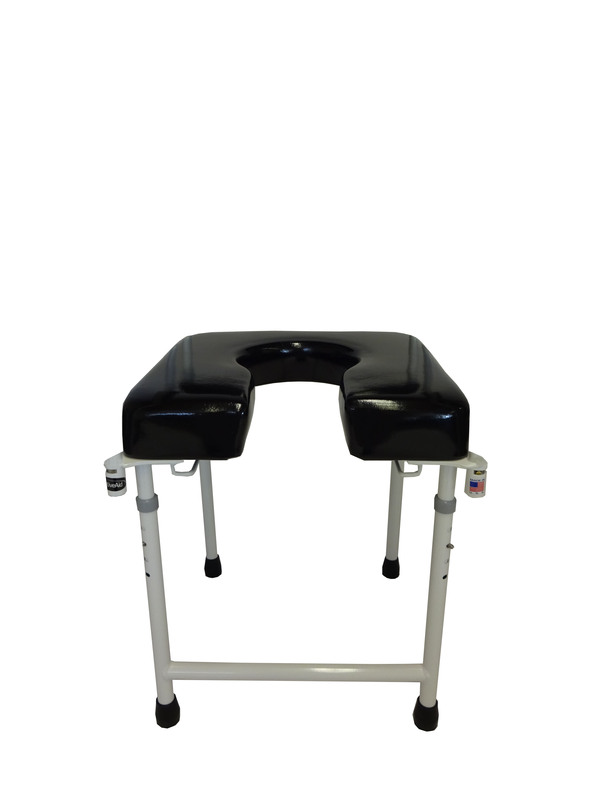 The open frame design not only affords unimpeded directional seat placement but also allows the optional back and arms to be correctly positioned without restriction and without tools. 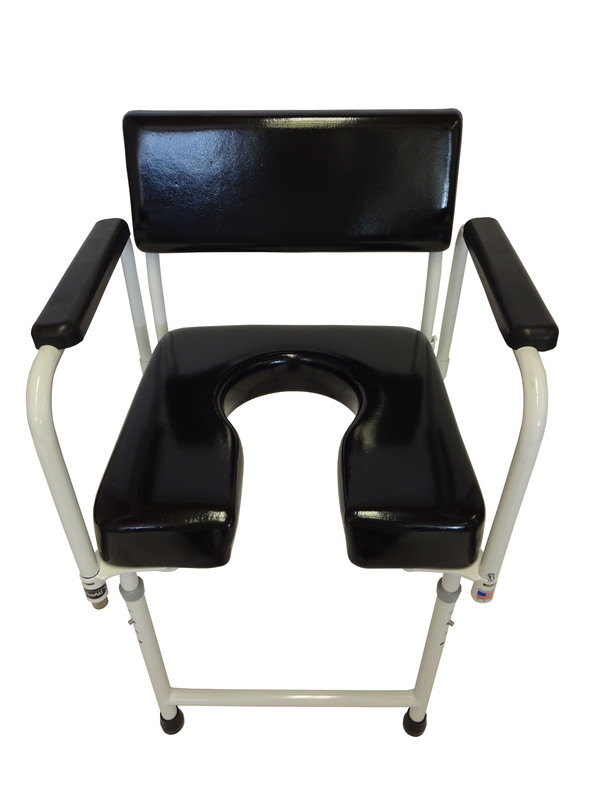 The 350 pound capacity frame is created from high-quality Stainless Steel that provides a strong, durable, non-corrosive product. 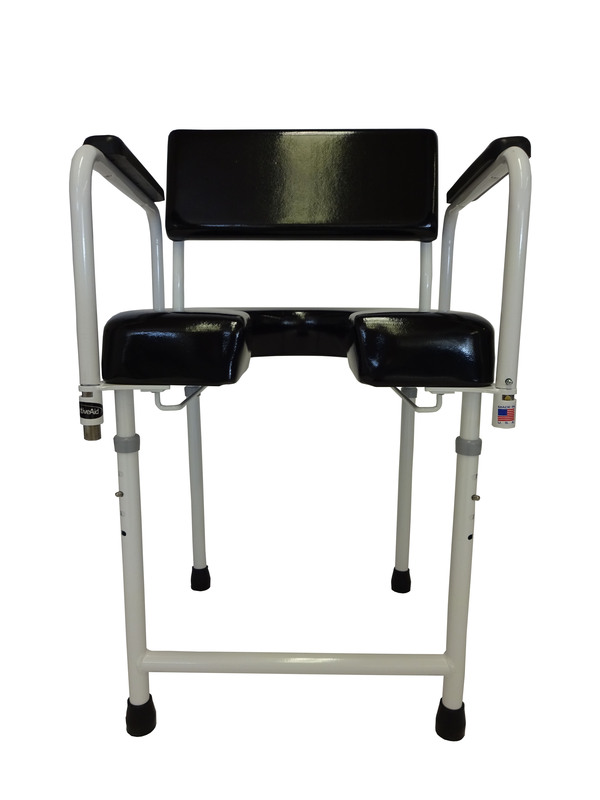 Adjustable seat height: 19.5" – 22.5"
With optional suction cups: 19"x 19"
Active Aid orders ship Signature Required from UPS or FedEx. An adult is required to sign for delivery. We will provide tracking information and status updates. Please make arrangements to be home on the estimated delivery date or make arrangements with the carrier.